“A professional bio on your social media profiles is part of your digital branding." When someone discovers your account and is deciding whether or not to follow you, one of the first things they'll automatically do is check your profile to see what it is that you do. Sometimes, depending on your bio they may click away or follow you. A social media bio is like a virtual business card; people make quick assumptions based on their first impression. So make yours sound professional, compelling and relatable to your ideal audience. Your internet presence and digital footprints play a role when it comes to establishing authority and trust both off and online. 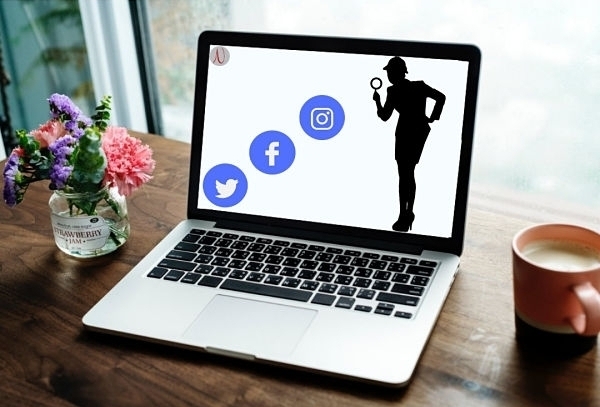 Here are five simple ways you can tweak your bio and make it easier for your target audience to connect with you. If yours is a business account and the objectives are to create brand awareness, generate leads, and network, then use a professional tone. Avoid poor grammar, spelling mistakes, and unprofessional terms. However, that doesn't mean keeping things dry and too corporate-like. Remember social media is personal by nature, so adding something personal will make your bio and brand relatable. Avoid using industry buzzwords and jargon. Your bio is not supposed to make you sound smart. You want your audience to know what you do, so be clear and concise. Because less is more on social media, get to the point with your explanation and use short sentences, especially if there's a word count limit like on Twitter. Are you having a hard time finding the right 'tone'? Imagine your customer avatar or ideal client, maybe someone you know in real life who fits into the right demographic. Now keep that person in mind and write as if you were talking directly to them. How would you explain what you do in a normal conversation? Write your bio with the same tone you would use in that conversation. Get internet marketing tips directly in your inbox when you subscribe to my complimentary newsletter with exclusive content I share nowhere else + blog/podcast updates. Your bio should be a short overview that tells people who you are and what you do. To avoid repeating yourself, think of your bio as a virtual elevator pitch that creates curiosity to learn more. There are options for you to go into details later. For example, on LinkedIn, you have a chance to show your accomplishments. Facebook has a section to include details about your business, so use the bio section for a quick introduction that makes people think "Tell me more" after they read it. Because we all have different strengths, everyone has skills they're good at while some things require more effort. If writing your bio is taking longer than you would like, get help. You can ask past customers to describe you and how you solved their problems, then use their words to craft your bio. Alternatively, hire a professional copywriter. Just make sure they capture your brand and business tone, so the bio sounds natural, yet professional and relatable to your ideal audience. I occasionally give away FREE social media bio reviews. Spots for the complimentary audits are limited so apply for yours here today and let's optimize your profile bio. SHARING THIS POST USING THE ICONS BELOW.